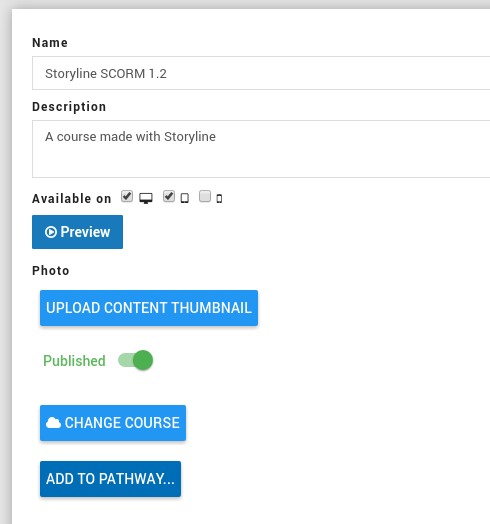 This is a list of scorm cloud content from our demo SCORM Cloud account. Step 2: Click on one of these items, and you should see an overview of settings for them. The eLearning step will be automatically be added to a learning experience pathway. Step 9: Search and select Amy Way. Impersonating a person will allow you to see the system from that user's perspective. It is safe to use as the system records it as an impersonation. 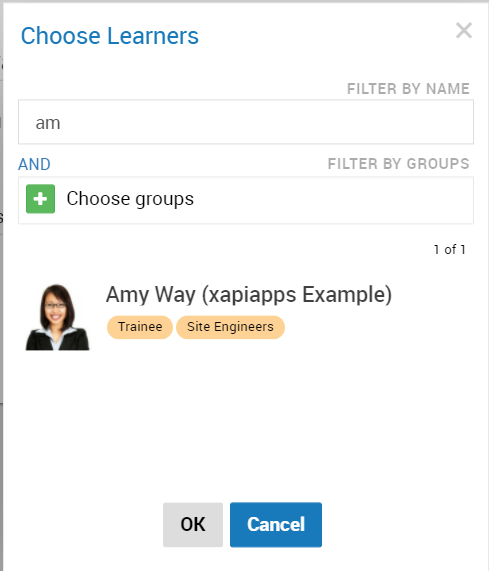 Step 14: Search and select Amy Way (the user you assigned the pathway to). Step 15: In the confirmation dialog click Yes. Allow the system to morph into Amy Way's perspective. You will see a green bar at the top to let you know you are impersonating. If you do not see the green bar, give your browser a refresh, and try the impersonation steps again. An example of what you might see is below. Click on the START button on the task to begin the SCORM Cloud task. Step 26: Un-impersonate Amy Way by clicking on UNIMPERSONATE in the top green bar.